Nat'l Pediatric Cancer Awareness Mo. We are collecting Blessing Bags for CBC families. We supply the bag, you fill it and we will deliver to CBC families at Joe DiMaggio Children's Hospital, Boward Health, Niklaus Children's (MCH) and the homes of children battling cancer. The average cost to fill a bag is $30. If you cannot fill a bag, please consider donating the cost of a blessing bag and we will fill it for you and deliver! 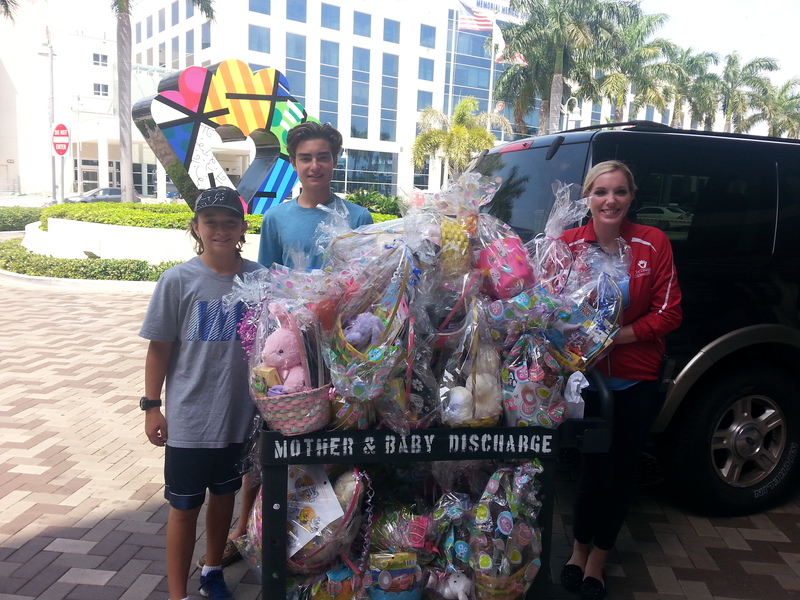 collection for the Oncology Clinic at the Joe DiMaggio Children's Hospital. We will be collecting all summer and delivering the first week of September for National Pediatric Oncology Month. We are collecting Blessing Bags for CBC families. We supply the bag, you fill it and return and we will deliver to CBC families at Joe DiMaggio Children's Hospital, Chris Evert Children's Hospital, and Niklaus Children's (MCH) and the homes of children battling cancer. 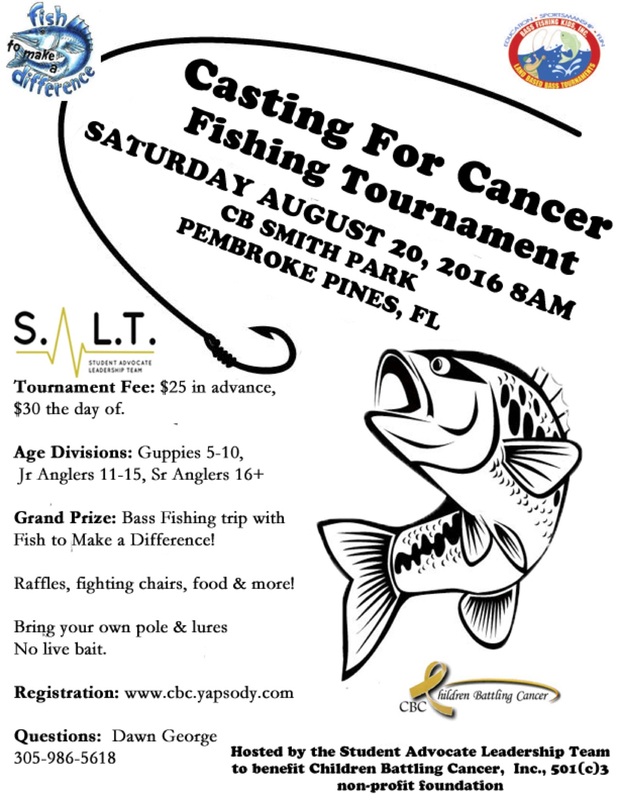 Fishing Tournament to Benefit Children Battling Cancer Hosted by the Student Advocate Leadership Team (S.A.L.T.) of CBC. 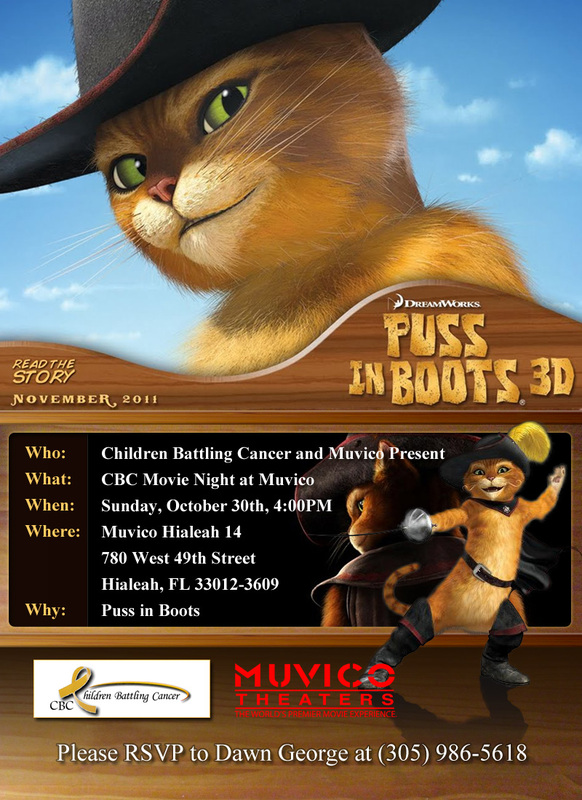 CBC's First Annual Holiday Party for Childhood Cancer. 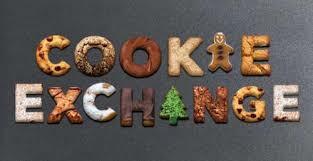 Cost: $20.00: includes dinner, wine and access to the incredible cookie exchange. Purchase your tickets in advance. $25 night of event. Cause: 100% of the proceeds benefits families of pediatric cancer in our community through the Children Battling Cancer Foundation. Note: Ladies 12 and up only please. Join us for our Annual Thanksgiving Drive. Create a bag of Thanksgiving Blessings for a family in need during the holidays. We provide the bags and instructions with all you need to fill your bag. We will then collect the bags with complete Thanksgiving and deliver them the week before/of Thanksgiving to the pediatric oncology families throughout South Florida. This is just one small way to relieve the burden the holidays place on these already overwhelmed families. We encourage you to add cards or pictures or any personal touch you would like to the bag. 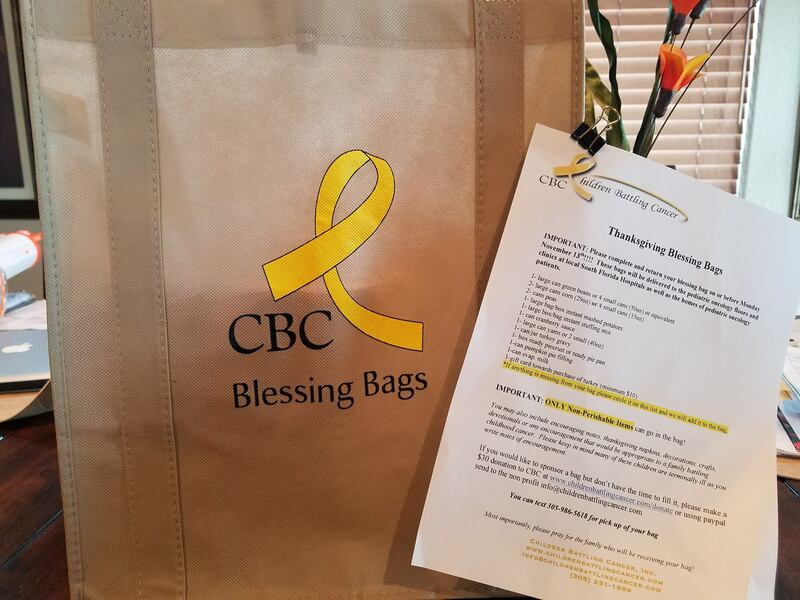 If you are not local but would like to provide a Thanksgiving Blessing Bag for a pediatric cancer family you can sponsor a bag and we will fill it for you. Just make a $30.00 donation to CBC and specify Thanksgiving Bag and we will fill it for your family. 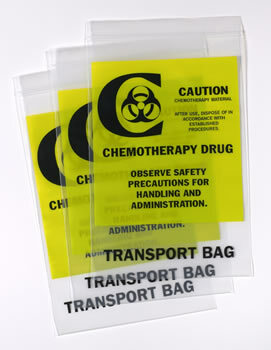 Order your chemo bags to distribute among family, friends, neighbors, co-workers. 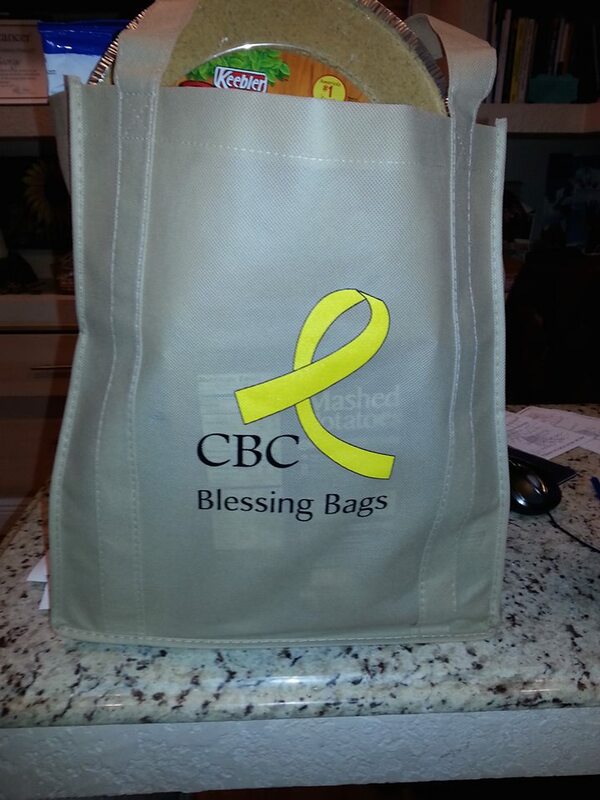 Each bag contains information with statistics, facts, and the mission of CBC. Each bag explains exactly what to do. 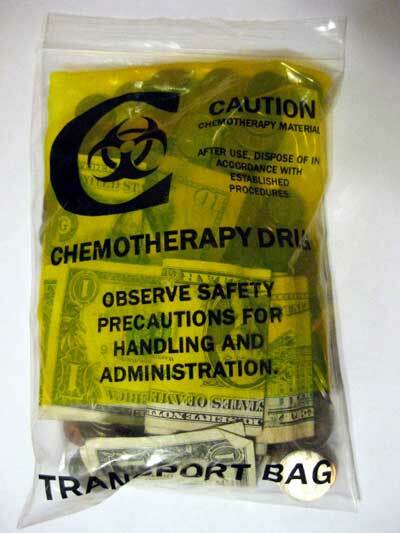 Organize a chemo bag fundraiser at your church, school, or club. At the end of the designated time, collect the bags you distributed. CBC will pick up the bags if you are local or if you are not local you can mail the total by check or money order to Children Battling Cancer, Inc.
Chemo Bags Raise Awareness while Raising Support! Join us once again for our Annual Thanksgiving Drive. Create a bag of Thanksgiving Blessings for a family in need during the holidays. We provide the bags and instructions with all you need to fill your bag. Click here to view the CBS 4 newscast of one very special delivery that took place last year. Thanks to a generous grant from a CBC supporter, CBC will partner with Gilda's club to host an end of treatment party for all kids that have completed treatment in 2012. 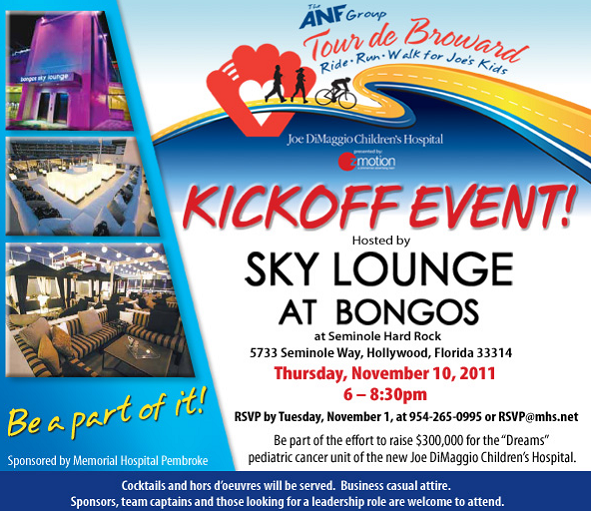 ALL pediatric oncology families are invited no matter what stage of treatment you are in! 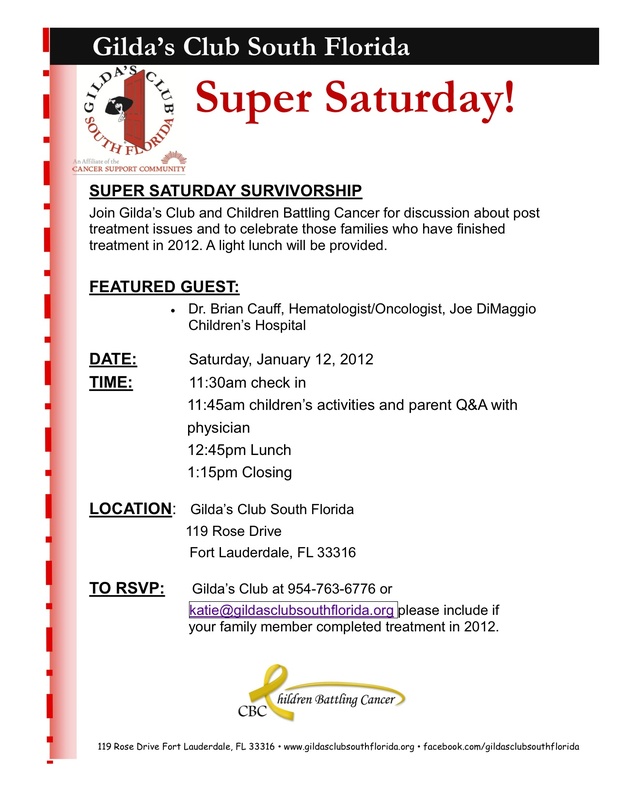 So come out to Gilda's Club for fun, food, and fellowship with other oncology families. We will have a pediatric oncologist on hand to answer an post treatment questions families may have. We will have activities for the kids and parents. CBC has partnered with the Fish to Make a Difference Foundation to provide exciting and meaningful fishing experiences for our CBC families. Your family will be partnered with an experienced captain and enjoy an afternoon or evening in the Florida Bay for some great fishing. If you are a local pediatric oncology family and would like to have your name added to our list of families eligible for this outing please email your name, patient's name, diagnosis, treating facility, and contact information to dawn@chidlrenbattlingcancer.com. What: Please join the Florida Panthers as we celebrate the holiday season with a meal at English Tap & Beer Garden, a present for each of the children attending and other activities will also be available. Note: At this time we have reached capacity for this event. The Florida Panther Foundation invites CBC families to join them for a family meal and free skate on Thursday, November 8th, from 6-8pm at the Saveology Ice Plex in Coral Springs. Dress Warm and come hungry. We will then collect the bags with complete Thanksgiving meals in them. Each bag will be personally decorated by the family filling it and it will contain all the sides necessary to prepare a traditional Thanksgiving meal as well as a small gift card towards the purchase of the Turkey. 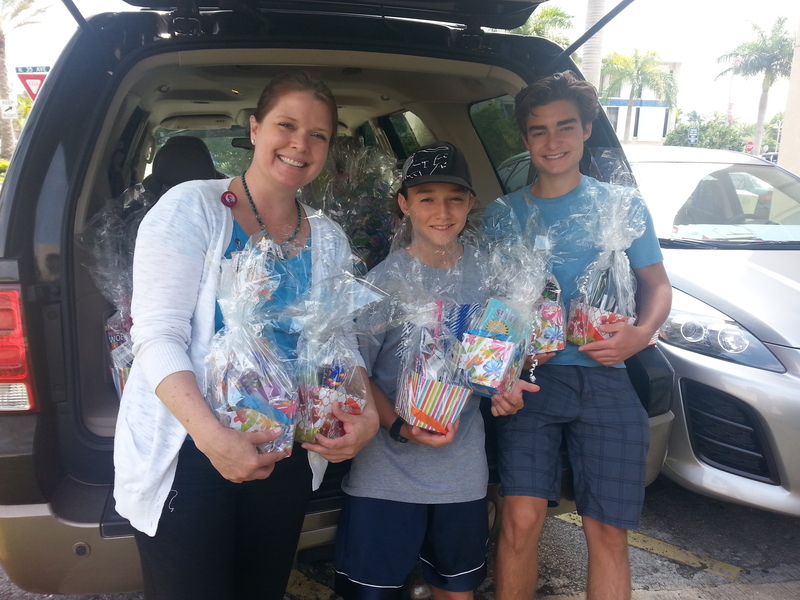 We will deliver the bags the week before Thanksgiving to the pediatric oncology families throughout South Florida. This is just one small way to relieve the burden the holidays place on these already overwhelmed families. We encourage you to add cards or pictures or any personal touch you would like to the bag. 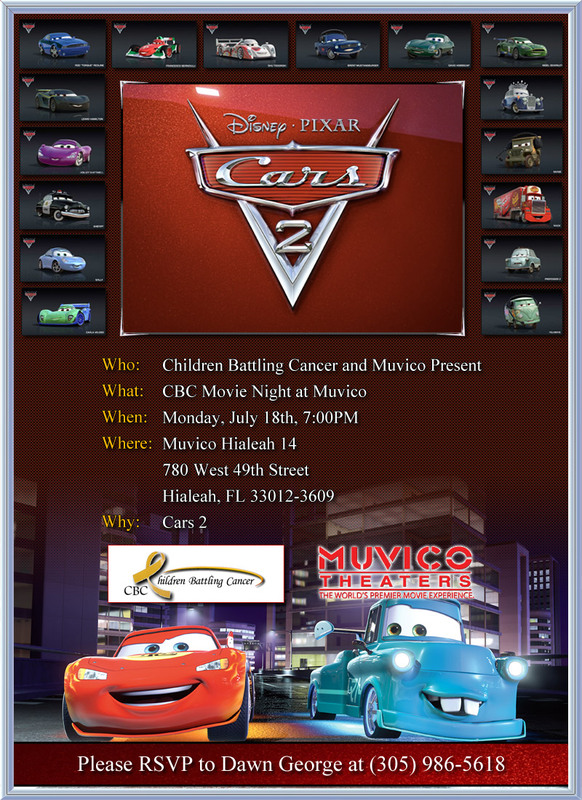 CBC children on treatment, maintenance or within one year post treatment and their immediate family members are invited to join us for a family outing provided by CBC supporting partners, Peter Kahn & Muvico theaters. Please RSVP and arrive 15 minutes early to park and get your seats. Volunteers Needed for the below dates! The Florida Panther's Foundation has boldly entered the battle against pediatric cancer. CBC is extremely grateful for their support on behalf of all families battling this disease. 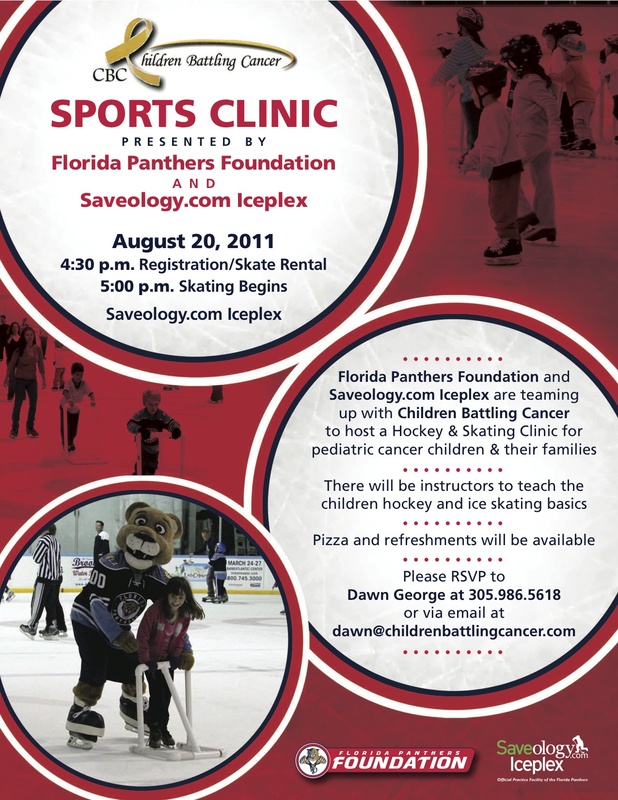 On February 26th, 2012, at 6:30pm, the Florida Panther's Foundation will host the Children Battling Cancer Foundation as their benefit charity at the Bank Atlantic Center. We are in need of volunteers for this special fundraising outreach event. 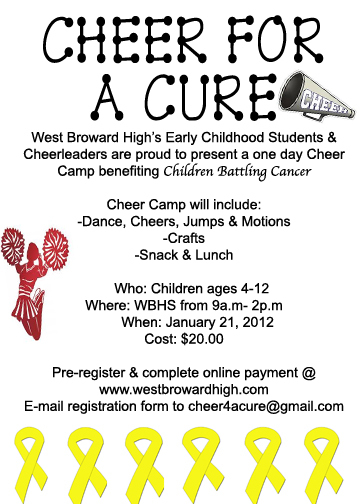 If you can volunteer please contact Dawn George at Dawn@childrenbattlingcancer.com. Volunteers can be families with children over age of 12. Students, adults, and community volunteers. *CBC will provide volunteer hours to students. Open to all others ages 4-12 for a $20.00 participation fee. Join us for our Annual Thanksgiving Drive. 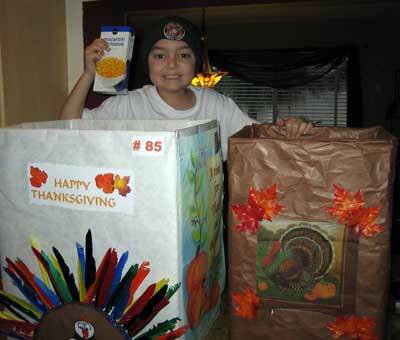 Create a bag of Thanksgiving Blessings for a pediatric cancer family. We provide the bags and instructions with everything you need to fill your bag. We will collect the completed bags on November 14th. Each bag will contain all the sides necessary to prepare a traditional Thanksgiving meal as well as a small gift card towards the purchase of the Turkey and be delivered to pediatric oncology families. This is just one small way to relieve the burden the holidays place on these already overwhelmed families. We encourage you to add cards or pictures or any personal touch you would like to the bag. If you are not local but would like to provide a Thanksgiving Blessing Bag for a pediatric cancer family you can sponsor a bag and we will fill it for you. Just make a $30.00 donation to CBC and specify Thanksgiving Bag and we will fill it on behalf of your family. CBC families are invited to the annual Meal and Skate at the Saveology Iceplex on November 1st from 6pm to 8:30 pm. The children will skate with the players of the Florida Panthers Professional Hockey team. There will be a special appearance by Stanley Panther and a meal will be provided after we skate. Dress Warm and check in at 6pm sharp! Spaces are limited so please respond asap! Please include your family name, patient name, age of children and their names, treatment facility. The Florida Panther's Foundation has boldly entered the battle against pediatric cancer. CBC is extremely grateful for their support on behalf of all families battling this disease. On Thursday, October 20th, 2011, at 6:30pm and February 26th, 2012, at 6:30pm, the Florida Panther's Foundation will host the Children Battling Cancer Foundation as their benefit charity at the Bank Atlantic Center. CBC Supporter, Condee Farm of Davie will be hosting a Fall Festival on Saturday, October 22nd from 1:30-5pm. They are opening this Fall Festival to the public and and generously donating all proceeds from the day's events to the Children Battling Cancer, Inc. foundation. In addition CBC families can enter the in the festival for free. We are extremely grateful for their support and encourage everyone to attend. Condee Farm's Fall Festival will include pony rides, games, crafts, food, face-painting, raffles, a silent auction and more. Come out and show your support for Childhood Cancer Awareness Month at the Denny's in Davie located one block north of Sterling Road on University Drive at 5645 South University Drive. 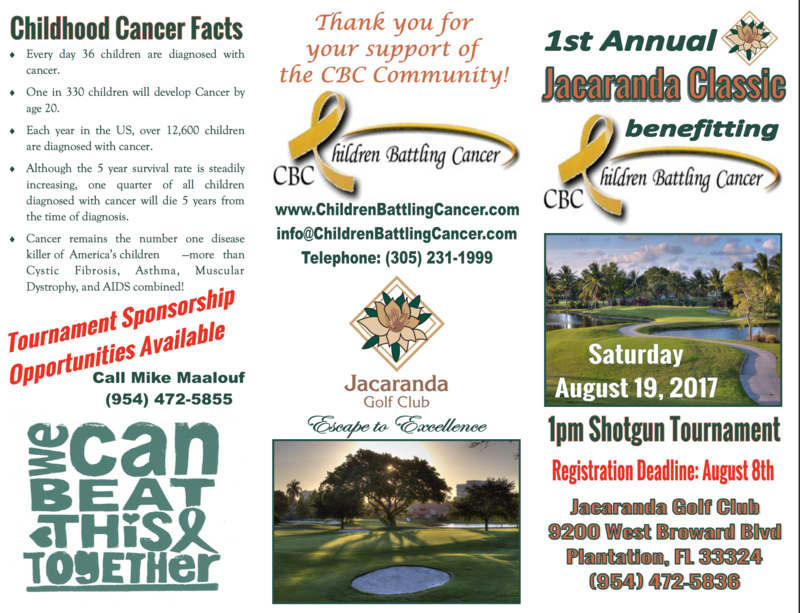 20% of the check will be donated to CBC to help families battling pediatric cancer. There will be fun for the whole family with face painters, balloon twisters, games, raffles and more. Come hungry! Support a great cause! We are very excited to offer our CBC families this exciting Family Day Out. We will be meeting at The Saveology Iceplex on August 20th at 4:30pm. We will have private ice time for our families from 5: to 6:30pm. We will have instructors there to teach the kids a little of the hockey basics with some stick and puck time as well as ice skating instruction for those that just want to skate. We will have pizza and refreshments for the kids and maybe even some surprise visits from Stanley Panther and other guests! 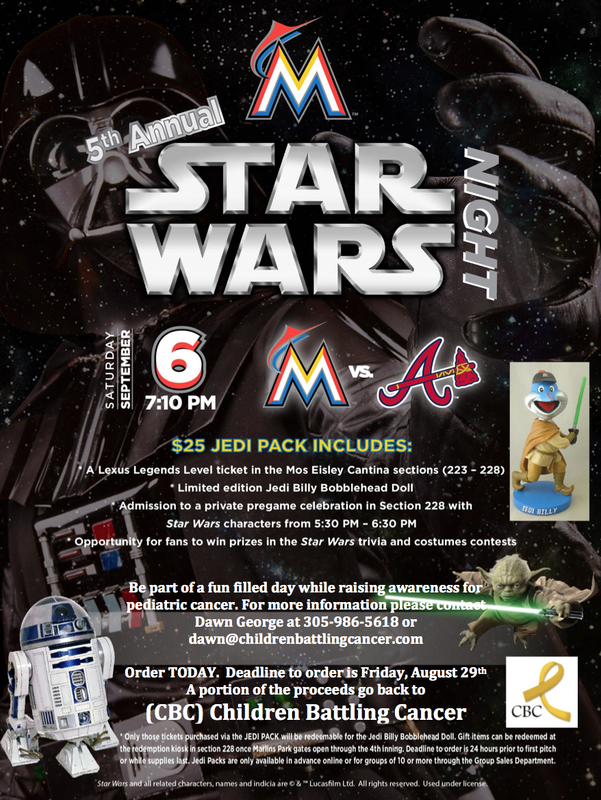 Make sure to reserve your spot by emailing dawn@childrenbattlingcancer.com or calling CBC at 305-986-5618. The Saveology Ice Plex is located one block East of Sawgrass Expressway on Sample Road. CBC partner and sponsor, Condee Farm in Davie is offering a free Horse Camp this summer to our CBC kids. There will be lots of great activities including Horseback riding, Crafts, Games, Sports, and Swimming. Camp Dates available are July 13th -15th. All CBC kids can participate for FREE!!! There is a limited number of slots available so please RSVP by emailing Dawn to reserve your spot if you are interested and to request more information. 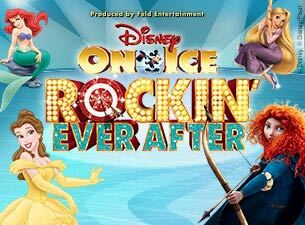 We have changed the date for this Family Movie Night to Monday, August 15th to accomadate for school starting on the 22nd. During cancer treatments, many kids have to give up the sports and team activities they enjoy to focus on treatment. Yet these can be a great distraction and help rebuild strength, stamina and confidence when held in the proper setting. Thanks to our partners at Adam Meyer of Real Money Sports, CBC will be offering the first of several Sports Clinics to our families. We believe these half day clinics will be a great day of fun and distraction for the kids. They will get to participate in sports with other kids who are also facing the same struggles they are experiencing. They will have the opportunity to learn a new sport or participate in a sport they may already enjoy and go home with some great gifts thanks to our sponsors. Sponsored by Adam Meyer of Real Money Sports. If you or your organization would like to host a sports clinic please contact Dawn at (305)-986-5618. 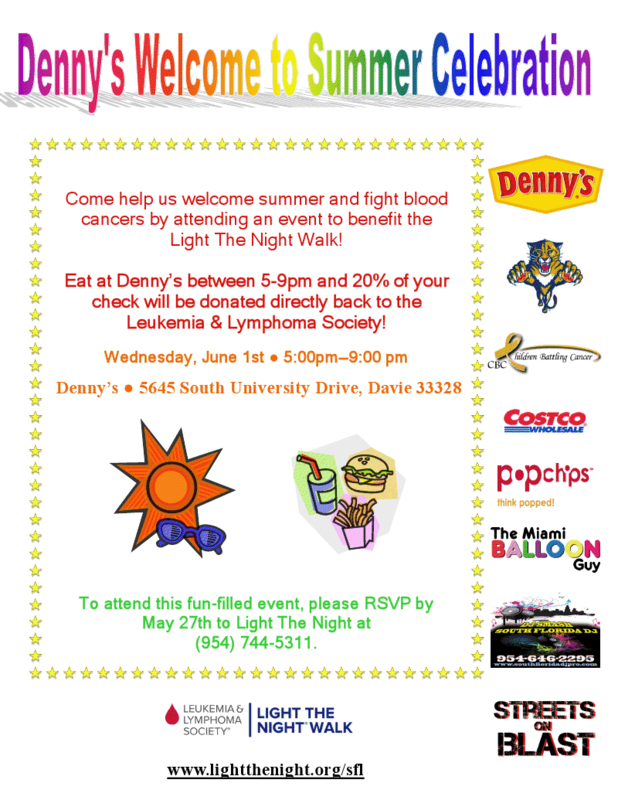 CBC Supporter Denny's of Davie is having a summer celebration to benefit the Light the Night Walk for the Leukemia and Lymphoma Society. We are inviting everyone to come out and a have a great time for a great cause. There will be lots of great surprises, raffles and special. A big thanks to the Leukemia and Lymphoma Society for extending the invitation to our CBC families. We have a limited amount of slots available. 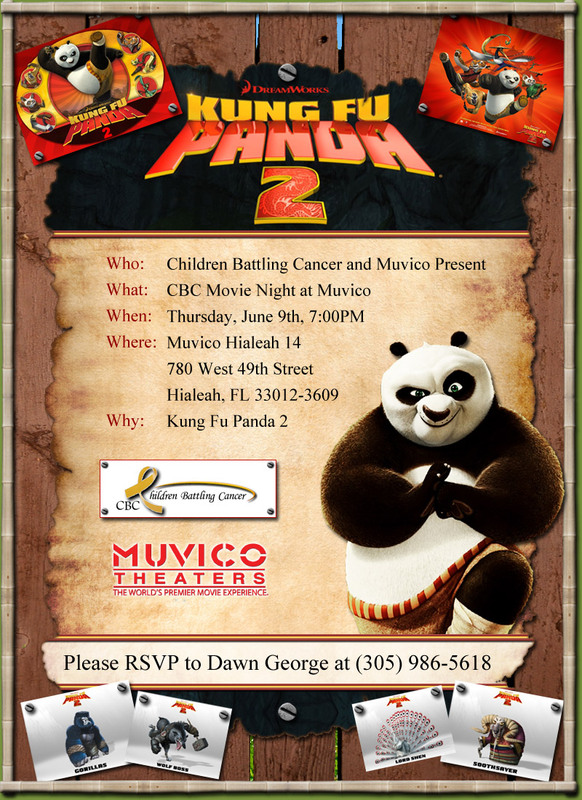 Please RSVP to Dawn at Children Battling Cancer by email at dawn@childrenbattlingcancer.com or by phone at (305)986-5618 if you would like to attend. We need a minimum number of families to host the camp. Pizza lunch and water bottles will be provided by CBC or you have the option to bring a sack lunch. UPDATE: The students of Equip Education raised $1075.00 at the CBC Benefit Yard Sale! Saturday, February 26, 2011 from 7am to 1pm, the students of EQUIP Education will be holding a yard sale to help raise funds for Children Battling Cancer. These kids have done amazing things to raise awareness and funds. They have hosted the chemo bag fund-raiser. They have hosted bake sales, candy sales, sold homemade goodies and more. Please support them as they continue in the fight against pediatric cancer by donating any of your unwanted clothing, furniture or items to them for the yard sale. Contact Alibrandi at alibrandi.dg@gmail.com to arrange pick up or drop off of yard sale donations. Thank you to all CBC volunteers that came out. Everyone had a blast and helped support a great cause! The Florida Panthers Foundation has boldly entered the battle against pediatric cancer. CBC is extremely excited and grateful for their support and thankful to be a part of all they are doing to help the families of childhood cancer. On January 11th, 2010, and February 18th 2011, the Florida Panther's Foundation will host the Children Battling Cancer Foundation as their benefit charity at the Bank Atlantic Center. 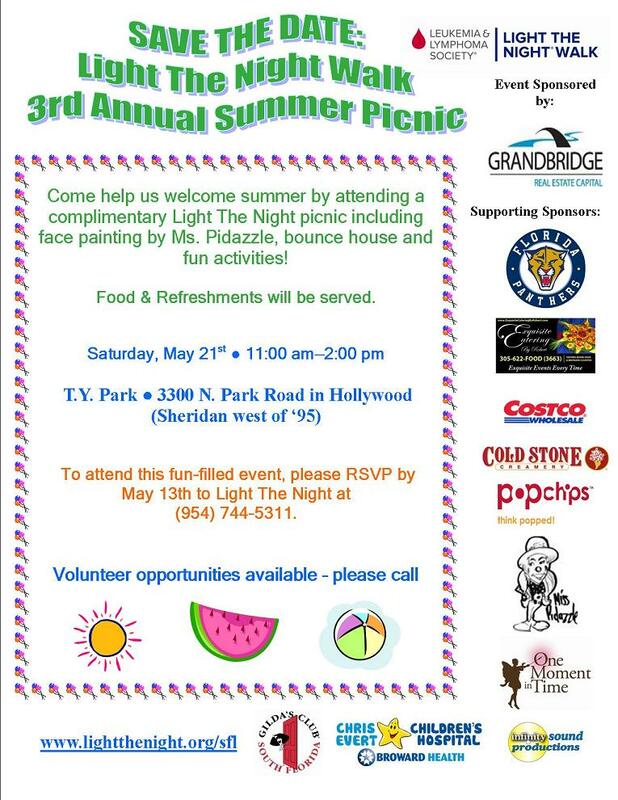 We are in need of volunteers for this special fundraising outreach event. If you can volunteer please contact Dawn George at Dawn@childrenbattlingcancer.com for further details. 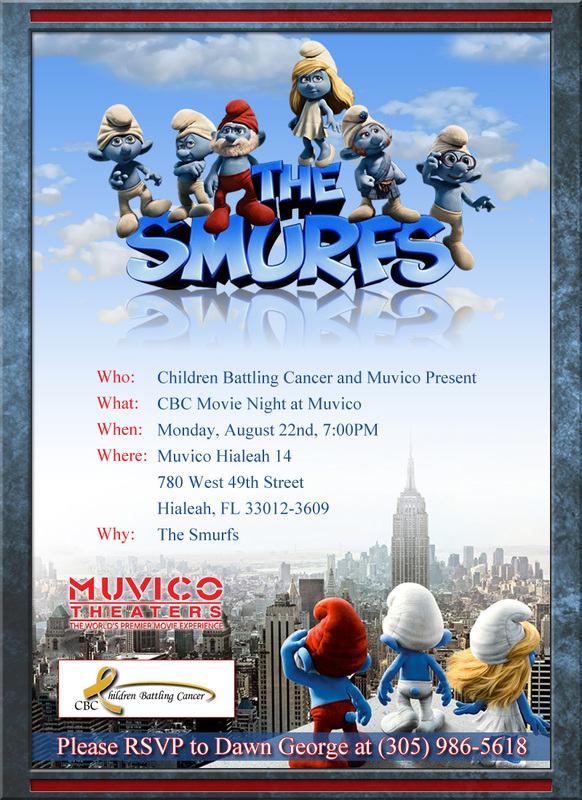 CBC will share our LOVE with the pediatric oncology patients at Joe DiMaggio Oncology Clinic on February 14th 2011. We will decorate cupcakes and make some fun crafts from 9am to 12 noon. Happy Valentine's Day! Update: CBC was able to sponsor 11 pediatric cancer families for Christmas for a total of over 40 children receiving gifts. A huge thank you to everyone who sponsored a child and their family. Special thanks to Pines Baptist Church, Parkway Christian Church, Cannatelli Builders, Bahamas Celebration Cruise, Su Sigma Sorority, Kelly Karge, A. Milano, C. George, P. Arbulu, T. Walters, R, Cannatelli, T. Verillo. In order to share the true joy we have received at Christmas we will host a Christmas Joy drive to benefit families with children batting cancer during the holidays. You will not want to miss out on this exciting opportunity! Here is where you discover it truly is better to give than to receive. You will find that you will receive much more joy than you could possibly give away. We are hoping to get an overwhelming response to this joy drive so that we can provide a gift not only for the child battling cancer but their siblings as well. The siblings of children with cancer suffer intensely in their own unique and often private way. You can participate by donating an new unwrapped toy or gift card to CBC before December 15th or you can sponsor a gift by sending your donation to Children Battling Cancer, Inc. noted 'Christmas Joy Drive'. CBC will purchase and wrap a gift(s) from your family to be delivered to a child. Help us bring joy to a suffering family during the holidays. For more information or if your family or corporation would like to adopt a specific CBC child please email Dawn. Update: Thank you to everyone who filled or sponsored Thanksgiving Blessing Bags for the pediatric oncology/hematology families for Thanksgiving. 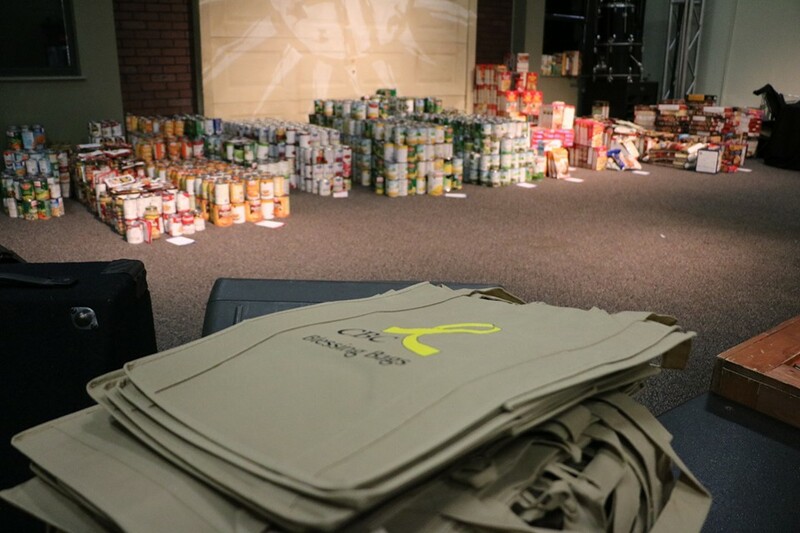 Thanks to your support, we distributed over 130 bags to the community once again for Thanksgiving. Palm Vista Community Church, Pines Baptist Church, and Condee Farm for filling bags. Update: Thank you to all who participated in our first annual Family Fall Festival. We had over 200 guests from the community and 13 pediatric oncology families from three different treatment centers! Thank you to all of our volunteers who helped make the festival a success. A HUGE thank you to Nancy Unger-Fink at Condee Farm for hosting the festival! We can't wait for next year! 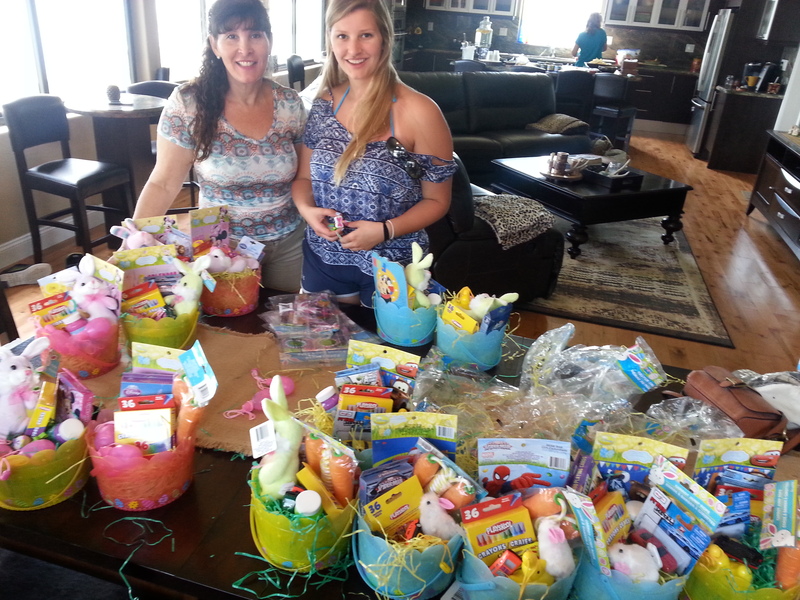 Condee Farm & Children Battling Cancer…. All to benefit a great cause. This is for CBC families and all CBC supporters too! 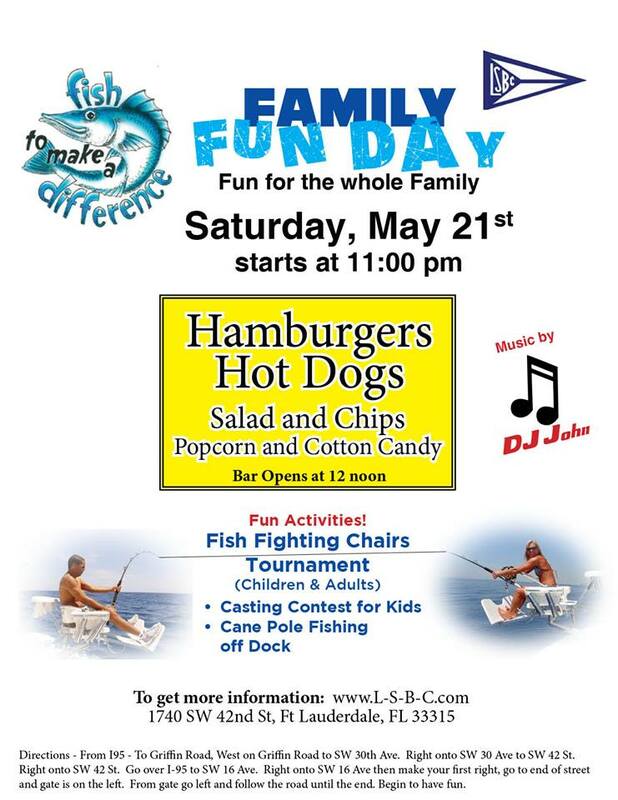 Come out with the family and have a great time while supporting a great cause. There will be ......Pony Rides Food Games Raffles Clowns Snow Cones Facepainting Crafts Pumpkins ..and lots of great surprises too! This is your chance to have fun with the families you have been supporting through CBC and have a little fun with us too. 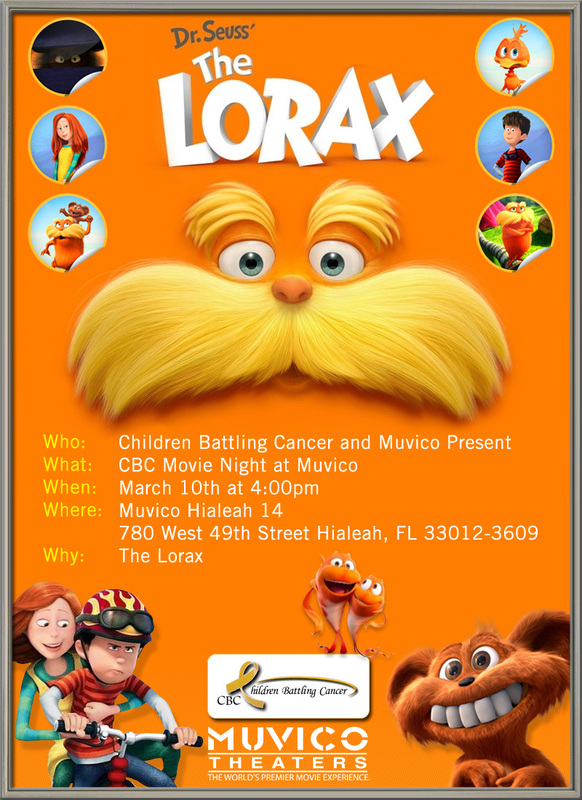 CBC families are welcome to attend the event as our guests. We are asking all others to make a $5.00 donation to enter. Gold Fellow will be there so be sure to bring any unwanted or broken Gold or Silver to the event in a zip lock bag. This is a great way to make some extra cash and help CBC at the same time. Gold Fellow will buy your gold for top dollar market value and pay you cash on the spot. You will be amazed at what you can get for missing earrings, broken bracelets, unwanted outdated jewelry. Silpada The highest-quality .925 Sterling Silver Jewelry at a reasonable price...all supported by a Lifetime Guarantee. By His Grace Creations: Beautiful Handmade and Faith Filled Jewelry ....and more! The beautiful single 'Already and Angel' is now available! We are excited to be able to share this amazing song with all of you. This song was written by songwriter Kristi Huddleston especially for a 9 year old cancer warrior that crossed her path and touched her heart, but it is now dedicated to all children battling cancer. 'Already and Angel' was recorded by singer Ria, debuted at the Music 4 Miracles Childhood Cancer Benefit Concert, and is now being released to the public! We encourage everyone to order one of these CD's and to consider ordering an additional one for a family battling childhood cancer. We will make sure they are given to a family and personalized from you! CD's of "Already An Angel" are available for a $10.00 donation. All proceeds benefit children battling cancer. Email info@childrenbattlingcancer.com or click the Donate button to order. Thank you to all who participate in the day camp. We had a blast. A huge thank you to Nancy and Ali at Condee Farm for opening your program to CBC! End Your Summer with a Splash! What: End of Summer Horse Camp for Kids with Cancer and their siblings! 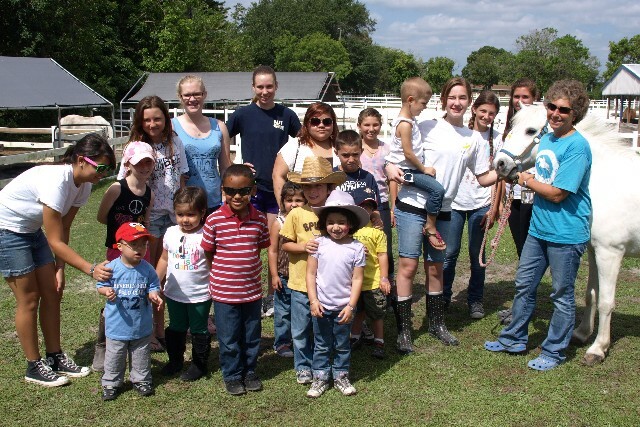 Children Battling Cancer, Inc. (CBC) in partnership with Condee Farms in Davie will be hosting a one day horse camp as an end of summer spectacular Family Day Out. This one day camp will include horse and pony rides, crafts, games, sports, swimming, snacks, and more. Any child on or off treatment is welcome to attend and siblings are also welcome. RSVP! Please call Dawn at Children Battling Cancer to reserve your spot. Please Note: Only children ages 6 and over will be able to ride the horses but all are welcome to attend. Please wear sunscreen and pack a lunch! Bring/wear a bathing suit and towel if you plan to swim! Special Gift for the consultant with the most guests in attendance. Special recognition for Red Jackets, DIQS and all consultants who move on up in their business. Proceeds from raffles and donations will benefit Children Battling Cancer, Inc.
UPDATE: The concert was beautiful! Thank you M4M! Still waiting on the totals but so grateful to everyone that came out to support the event. Music 4 Miracles is hosting a benefit concert to raise awareness and support for children battling cancer. They have spent months in the recording studio preparing for this amazing event. Now is your opportunity to purchase tickets and help support this great cause! 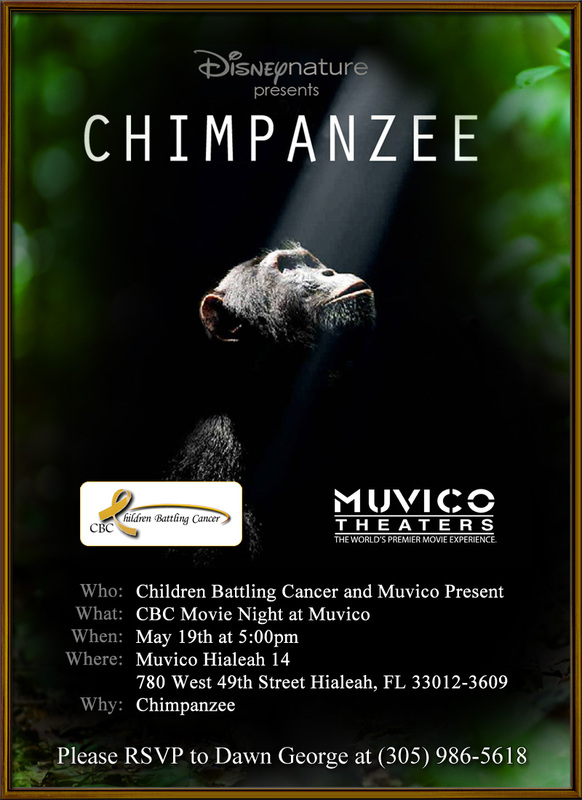 All ticket sales will go directly to benefit childhood cancer charities such as our foundation Children Battling Cancer, the Kendra's Kisses Foundation and the Joe DiMaggio Children's Hospital Foundation which directly support children and families battling cancer. This special night will also unveil the beautiful song Already and Angel, written by Music 4 Miracles founder Kristi Huddleston for Cancer patient CJ George. *Please ask about sponsorship opportunities available to you. Or please ask how you can sponsor a cancer family so they can attend this amazing event. Or visit www.music4miracles.com for more information. UPDATE: Thank you to all who attended this fun event. We had a blast and met many new friends. We raised $438.00 from this event. You're invited to visit this Silpada Designs Fund Raising Event with no formal presentations-just fun with friends, families and co-workers and all for a great cause! Stop by and see the fabulous collection of Sterling Silver jewelry. Make a purchase for yourself or find that perfect gift from someone special. Thank you to everyone who voted! We are extremely proud of CJ. What does a Powerful Kid Look Like?? Here at CBC we think it looks like 11 year old CJ George, who has been battling Stage 3 Lymphoma for a year and a half. He was entered into the Powerful Kid Care Contest through the Chris Everet Children's Hospital and was chosen as one of the top three finalists! But he needs YOUR HELP to win the top spot. The vote is now open to the public. Please take a quick moment and click on the link to the left and cast your vote for CJ George as a powerful kid. We think you will enjoy and be inspired by his story. It only takes a moment to vote but we ask that you do just that for him once EVERYDAY between May 17th and May 30th. He did his job to get entered now let's do ours to help him win! A HUGE Thank you to all that voted! UPDATE: A big thank you to Alie Unger-Fink who raised $125.00 for CBC at the Relay for Life Event in Pembroke Pines! Friday, April 23rd, 5:00 p.m.
West Broward High School National Honors Society is representing CBC at the Relay for Life Walk on Friday April 23rd. CJ George will walk the survivors lap in honor of all the kids who are no longer with us to walk in this event. They may not be here as survivors but they are the honored heroes who we walk for. CBC will light a bag in memory of the children we have met and come to love whose battles are over. Come light a bag for a survivor you know and love or in honor of those who have passed on. We will have a booth and be selling many goodies including our beautiful handmade gold ribbon bracelets. 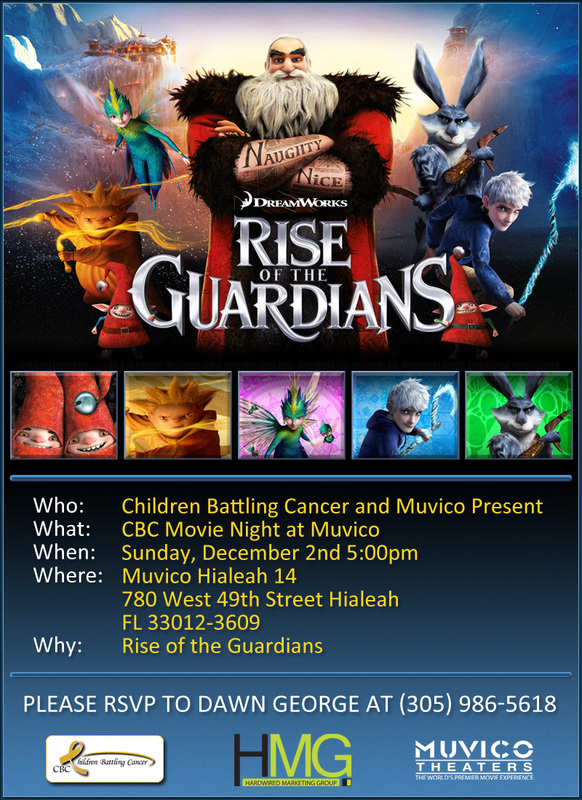 Please come out and support Children Battling Cancer at this wonderful event. Thanks to all who came out to support and encourage us! Your Invited! Come Celebrate with CJ. CJ, who is turning 11 on Monday, April 5th, and is still on chemotherapy for cancer treatment, is using his birthday to raise awareness and support for children battling cancer. And your invited! In order to make this a success we need your participation in this very special event. On Monday April 5th, come to the Dennys in Davie located at 5645 South University Drive, Davie, FL 33328 anytime between 5pm and 8pm. Bring your family and friends! Invite neighbors! Spread the word! We ask that you come and have dinner at this Dennys that night in honor of CJ's birthday. The owner of the Dennys, who also has a child battling cancer, has generously donated 20% of the sales for that night to Children Battling Cancer. CJ is using his birthday for this cause so no gifts are necessary other than to come and have dinner for a good cause. How often can you go out to eat and pay the check knowing a portion is going to help suffering kids and their families? Well, on this special night you can! CJ will be there from 5-8pm doing magic tricks for all his guests. 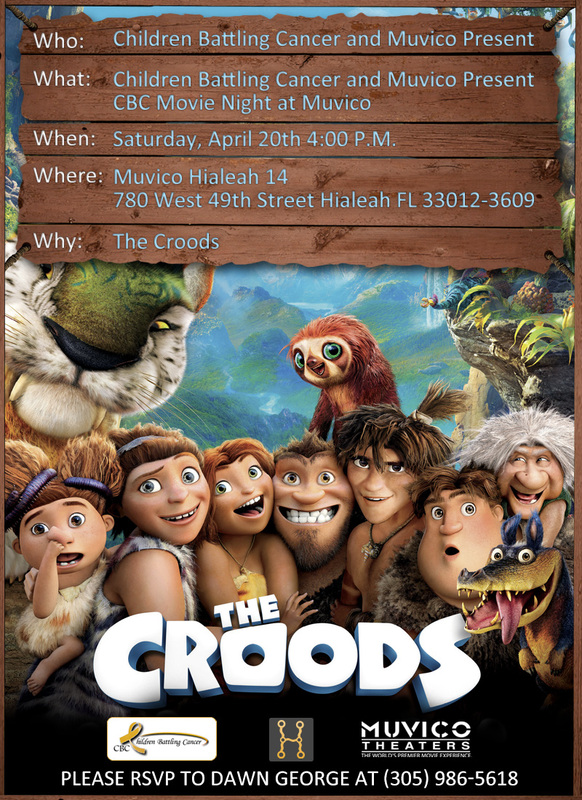 We are planning some surprise guests from the Miami Dolphins and activities for the kids so bring the whole family. Why: To Benefit Children Battling Cancer, Inc.
*Thank you to all who participated and joined TEAM CBC. We collected over 1000 cards and were able to distribute to four cancer centers instead of one! Children Battling Cancer is officially 'TEAM CBC' for the first annual Cards for Cancer Day. 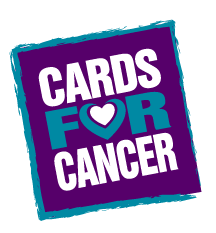 Spirit Jump hopes to have 100,000 cards delivered all over the country to individuals fighting cancer on April 10th. "On Saturday April 10th, 2010 Spirit Jump and the team leaders around the world will deliver bags of uplifting cards to their local cancer centers to be given to those battling cancer. Cards can be collected by asking family members, friends, neighbors, schools, youth groups or just about anyway you can think of getting them. Cards can be handmade or store bought and should have a positive message to help JUMP the SPIRIT of someone who is battling cancer. Our purpose is to bring hope and comfort to the many men, women and children battling cancer! Not just creating awareness but also having a direct positive impact on the lives of those that are hurting. Spirit Jump has set a goal to collectively deliver over 100,000 uplifting cards. Join us and together we can reach this goal." JOIN TEAM CBC by CLICKING HERE and then start making/buying cards. Joe DiMaggio Children's Hospital on April 10th! *A huge thank you to the Miami Seaquarium for sponsoring our booth. We raised $500.00 over the two days and made many cards for kids at the hospital. Saturday, February 20th from 11am-2pm. Attention CBC families. Join us at Gilda's Club for a day of winter wonderland fun. There will be games, lunch, an ice-cream party and an exciting magic show. 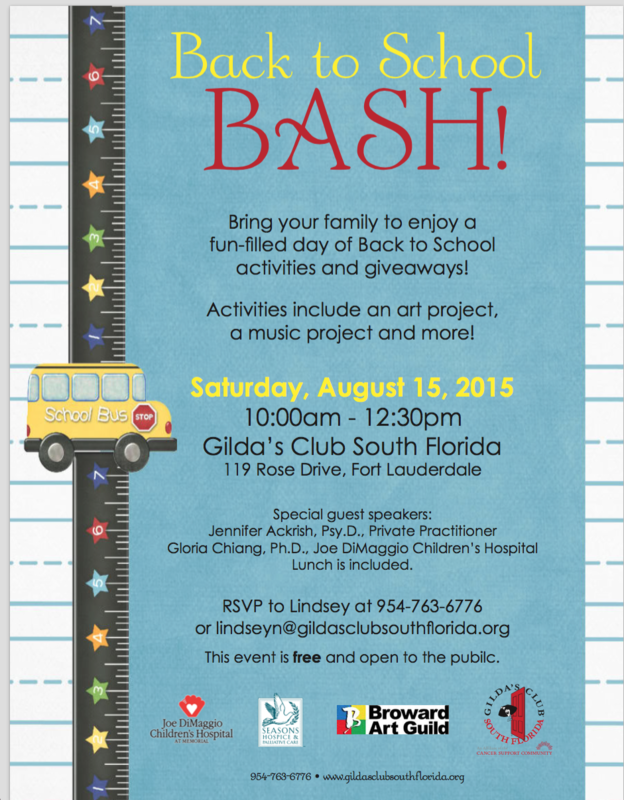 Please RSVP to Dawn at 305-231-1999 or Elisa at 954-763-6776 or e-mail elisa@gildasclubsouthflorida.org. *Thank you to our corporate partner, Miami Seaquarium, for allowing us to bless our families with this very special Family Day Out! CBC and the Miami Seaquarium partnered to provide the Gonzalez family with their Family Day Out. Little Mackenzie and her siblings had a blast getting up close and personal with the dolphins and other amazing animals at the Seaquarium. They enjoyed all the exciting shows and the beautiful South Florida weather. 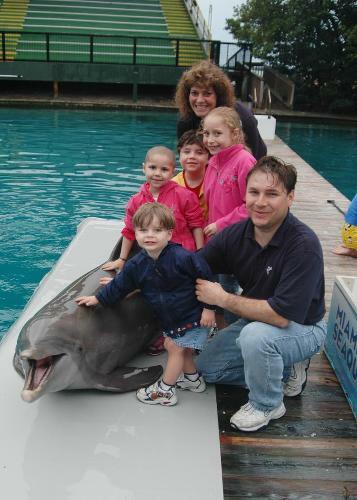 We want to extend a huge thank you to our friends at Miami Seaquarium for their support of Children Battling Cancer, Inc. and for making this day very special for the Gonzalez family. To read about Mackenzie's amazing day pleaseclick here. *Thank you to all who donated toys, gift cards and money to help this very special family. Thank you to all who showed up to wrap the presents and fill the stockings. A special thank you to Gildas Club of South Florida for all the toys donated and for recommending and trusting us with this wonderful opportunity. We were able to provide many gifts for all 4 children, gifts for mom and dad, and present them with many gift cards and a $250.00 check with the remaining funds that came in for their family! 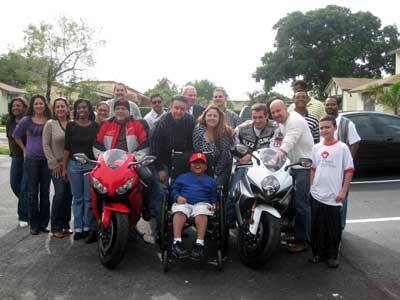 CBC was grateful to be asked to help the Mackenzie Gonzalez family for Christmas. This precious 5 year old little girl was diagnosed with stage IV Embryonal Rhabdomyosarcoma with lung metastase in December 2008. Unfortunately, after aggressive chemotherapy and treatments over the past year, the cancer has continued to spread to her lungs. At this time, the doctors feel there are not many treatment options available to her. Make A Wish Foundation stepped in and took the family to Disney the week before Christmas. They were not expected back until after midnight on Christmas Eve, leaving little time for the family to take care of Christmas presents for four little kids so CBC was asked to step in and handle all of the families Christmas shopping and wrapping while they were gone. What a blessing to see so many people come together for this family on such short notice. Through all of you, we were able to provide an abundance of gifts for all the family, including presents, stockings, gift cards and monetary donations. Thank you to all who helped make this possible. A special thank you to Dawn Reed at Winterfest Boat Parade. Kristi Huddleston at Music 4 Miracles and The Magic Children's Fund for all your support. *Thanks to Palm Vista Community Church Youth group we were able to distribute 30 handmade cards with giftcards to the Joe DiMaggio Children's Hospital. *Thanks to the National Honors Society at West Broward Highschool we were able to deliver over 50 stockings filled with toys and gift cards. *Thanks to miscellaneous donations we were able to make a toy donation to the Pediatric Ambulatory outpatient. In order to share the true joy we have received at Christmas we will host a gift drive to benefit families with children batting cancer during the holidays. You will not want to miss out on this exciting opportunity! Here is where you discover it truly is better to give than to receive. You will find that you will receive much more joy than you could possibly give away. UPDATE: Andrew went to be with the Lord on Sunday March 28th. *Thank you to all who contributed to make this day special for the Broomfield Family. We raised $800.00 to present to the family, purchased gifts for Andrew and his siblings, and The Collection brought out a Ferrari to take this very special boy for a very special ride. 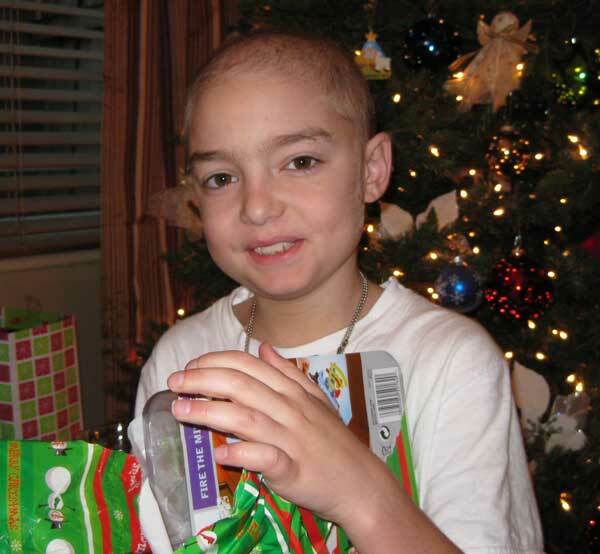 Children Battling Cancer, Inc. has adopted the Broomfield family for Christmas this year and we need your help. Seven year old Andrew Broomfield is on hospice and we want to help make his last Christmas with his family a special one. Andrew was a fun, loving and active little boy until March of 2009 when a sudden seizure lead him to the hospital. An MRI was performed that lead to the devastating diagnosis of a Brain Stem Glioma. Unlike many childhood cancers where parents are assured of hope and healing to come through modern medicines, chemotherapy and radiation, Andrew’s family was devastated to hear he had 0% chance of survival with this type of tumor. 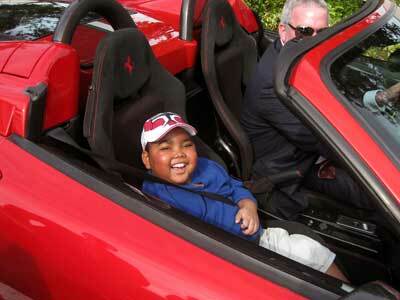 Andrew received treatment at Miami Children's Hospital, Joe DiMaggio Children's Hospital, and Plantation Hospital. In November of 2009, after as much treatment as his body could tolerate to slow the progress of the tumor, Andrew was released home on Hospice care. Due to the treatments and the progression of the cancer in his brain, Andrew has lost the ability to walk and talk. However, he is able to smile a 1000 watt smile and laugh a contagious laugh. Andrew, who is 7 now, is home receiving full time care and love from his mother who is deaf and his father who is hearing impaired, his 14 year old brother Tory, and 2 year old sister Sierra, as well as his loving grandmother. As Andrew celebrates what will most likely be his last Christmas here with his family, CBC plans to make it as special as possible for this very special little boy and his family and we need your help! We appreciate any support you can offer this family at this very precious time. We are accepting donations of toys, cash, or gift cards to help the family. 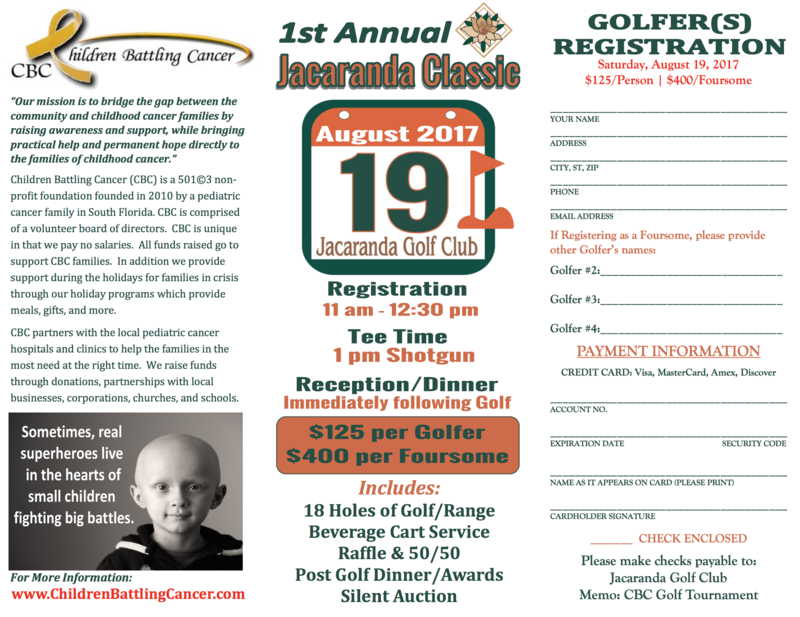 If you would like to offer your support of this family, please contact CBC at 305-231-1999 or info@childrenbattlingcancer.com. We are extremely grateful to the Miami Dade Police Dept who has partnered with us to help raise support and provide gifts for the family and will be accompanying us on December 18th as we surprise Andrew and his family with our special delivery! *Thank you to everyone who created a box(es). We collected and distributed over 130 boxes. That means we fed over 100 families! Join our Thanksgiving drive and create a box of Thanksgiving Blessings for a family in need during the holidays. We will be collecting boxes with complete Thanksgiving meals. Each box will be personally decorated by the family creating it and contain all the sides necessary to prepare a traditional Thanksgiving meal as well as a gift card towards the purchase of the Turkey. *In this way we are able to keep everything non-perishable. We will deliver the box the week before Thanksgiving to the families at the Joe DiMaggio Children's Hosptial as well as to the homes of families who are currently undergoing chemotherapy and cancer treatments. This is just one small way to relieve the burden the holidays places on these already overwhelmed families. We encourage you to add cards or pictures or any personal touch you would like to the box. Click here to view the CBS 4 newscast of one very special delivery. *Thank you to all who participated in our first annual chemo bag awareness fundraiser. Please plan to support us again in September 2010 for Childhood Cancer Awareness Month as we distribute chemo bags to churches, schools, clubs and neighborhoods! We need and are grateful for your support! no child should have to die while waiting for a donor. Hispanics and Asians, in particular, are highly under represented on the National Registry. Most people do not realize that becoming a donor is a simple as a cheek swab and a few drops of blood. You will then be placed on the National Registry until your 61st birthday. Being on the registry does not commit you to anything, but can you imagine having the opportunity to save the life of a child who will die without a transplant if you are the match they have been waiting for! More information to come as the details and dates are confirmed. In the meantime, check out Driving for Donors and learn more about the need for Bone Marrow donors.